Monogram Meredith: "We are all capable of anything." As I write this post, I'm curled up in my bed and I couldn't be more thankful, because this week has been one of the longest of my high school career. Last Friday seems so long ago! But what a week this one was! Monday, I got to see Anderson Cooper. Yes, that handsome silver fox from CNN that I'm kind of in love with. 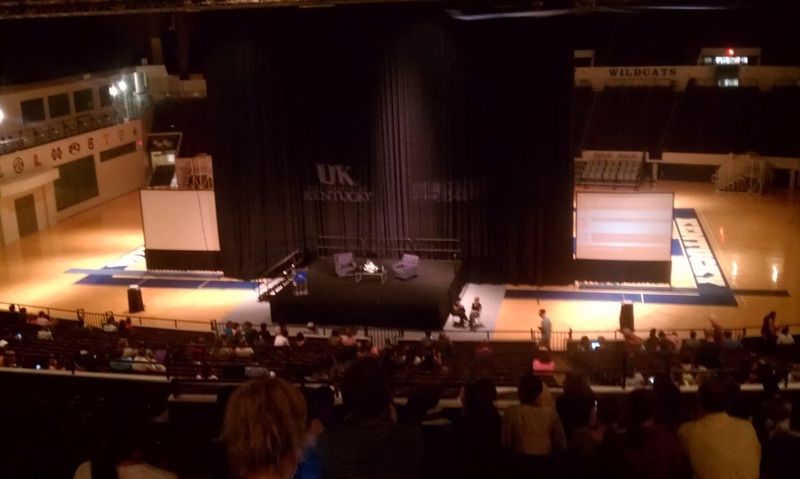 When my friend told me about him coming to the University of Kentucky, I freaked. 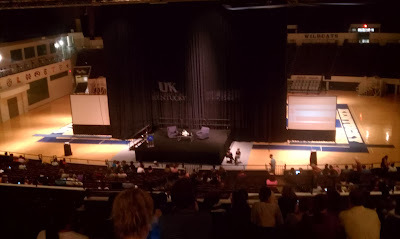 It was a full-out freak-out, so we all bought tickets to see him speak on Monday night. He was absolutely incredible and I was in complete awe. "You want to be the CEO, the editor, have the corner office? It's simple. Out-hustle everyone." "The tide of history only moves forward when people make themselves visible." "Most people just want information and facts. They can make up their own mind." "The stories and the pieces that move me are ones with the names of people you would never know." "I believe there is value in knowing about other people's struggles." "Be a human, learn their stories, don't lose compassion." "I tend to not gravitate towards celebrities. The last thing celebrities need is more attention. I find real people with real life stories much more interesting." "The human race is dangling on a thread and that thread is as thin as the wall of the human heart." "I'm a believer in doing what any good human would do." "Whatever profession you choose, being able to learn something new everyday is extremely rewarding." Like I said, amazing. He was just such a down-to-earth, humble, hard-working guy. He knows what he believes, knows his strengths and weaknesses, and is just trying to share a little bit of that. The best quote of the night? Um, we may have been at the very top, but it was still fabulous. ...there's only so far the zoom on a smart phone can go. We tried to hang around and see if we could catch a glimpse of that silver hair, but we were told to leave because they were turning the lights off...maybe next time, Anderson. 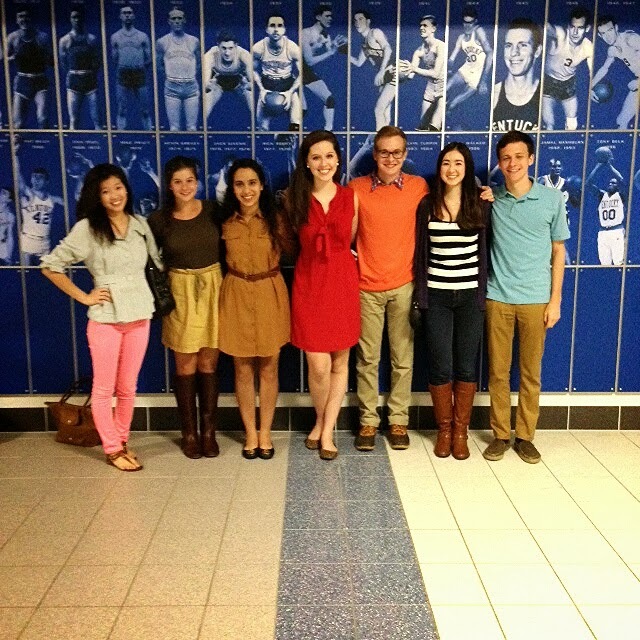 We ran our first National Honor Society inductions ceremony of the year. It was lots of fun! And who doesn't love to dress up?? ...especially when you're wearing some super tall wedges. And on top of 59230193 tests/quizzes, an ACT class, random extracurricular things, the government shutting down, I'd say this week was hectic. Get this: yesterday I was so tired that I went to move my car after my last class and had about an hour to kill before a club meeting started, so I closed my eyes for a minute...and woke up an hour and a half later. I woke up with so many missed calls from my friend and sister trying to figure out where the heck I was. Oh, sorry, guys, I'm just taking a nap sprawled out in my car in the front of school! And if that hasn't made your Saturday better, here's a picture of Mindy Kaling when she was little. I died. Oooh, I love Anderson Cooper!! How fun to get to see him in person! !